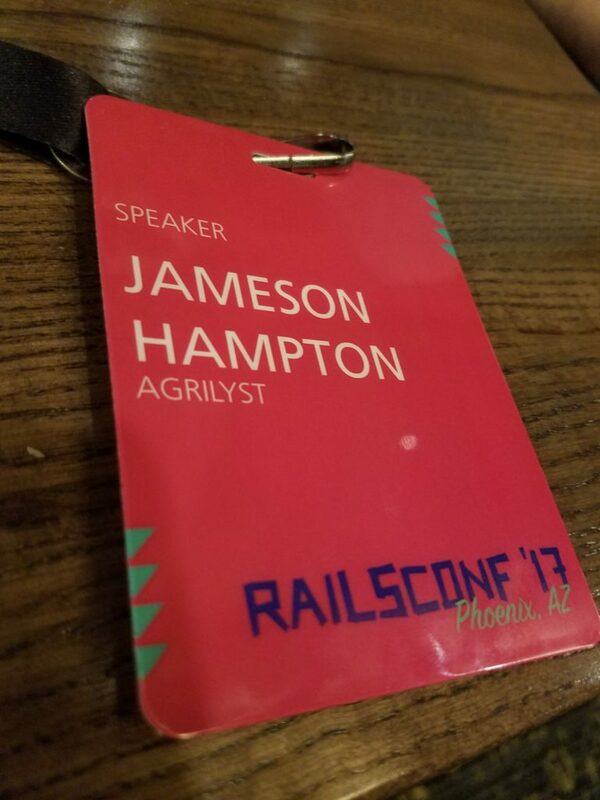 When I first decided I wanted to try being a conference speaker, Railsconf was my goal conference. 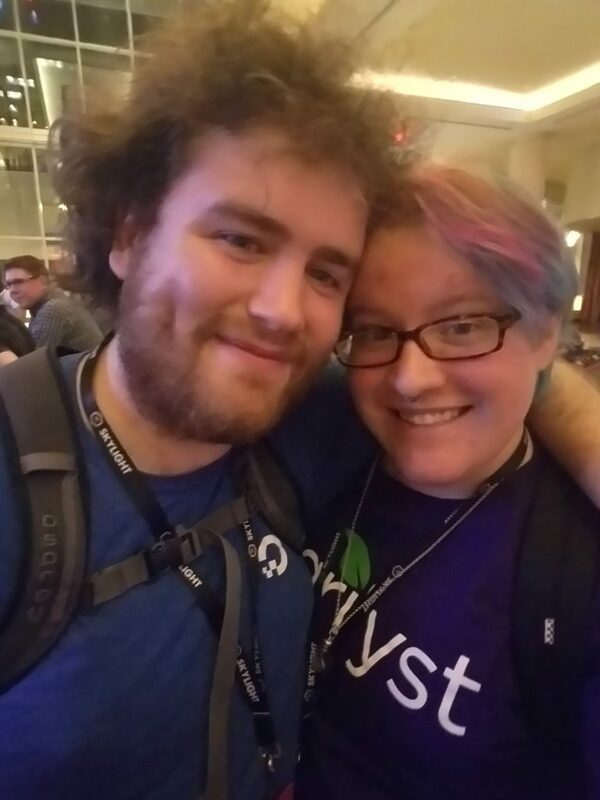 When I found out I got accepted to Railsconf my first year as a speaker, I almost cried. I was thrilled to go to my first Railsconf late last month and I count myself extremely lucky to be able to speak at my very first one! This was my second time giving my spoon theory talk, after Women Techmakers in April. On the one hand, I felt a little bit more prepared the second time around! On the other hand, though, it’s a very personal talk and I was definitely worried about how it would go over. Getting on stage and telling a room full of strangers about my struggles with mental illness and my gender identity isn’t something I think I’ll ever quite get used to. However, I was absolutely thrilled with how it went and the amazing feedback I got from people who saw it. There’s really nothing more rewarding than people telling you that they learned something from you. One person who attended told me a story about how later that same night, she was at an afterparty where someone was being inappropriate and she taught him about spoon theory based on my talk. I literally could not ask for anything greater than the chance to teach people and then have them turn around and immediately teach other people. Even people who missed it found me to tell me that they heard it was great and that they were excited to see it when the video came out. If you were one of those people, you’re in luck! You can watch the video now! 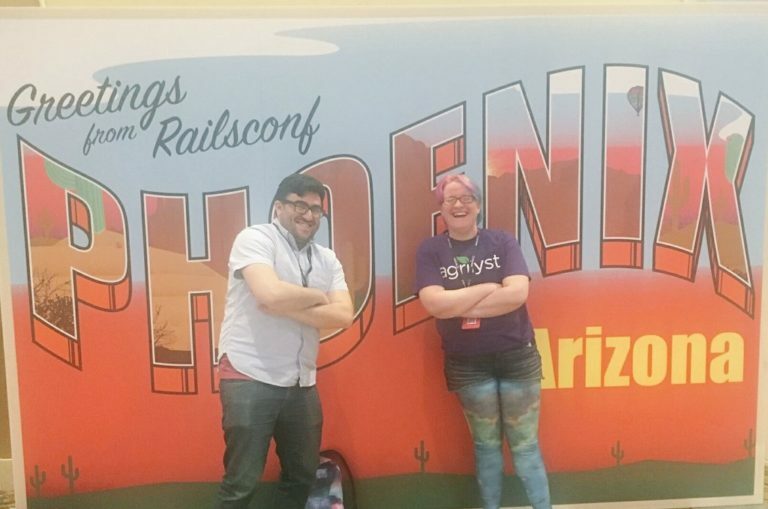 I was super lucky because my talk was on the first day of the conference, which meant I was able to put it behind me and focus on all of the other stuff that made me want to attend Railsconf, like all the other great talks I was able to see. Devon Estes held a great workshop and taught me a bunch of Bash tricks. My friend Niels and I held an amazing small group discussion about political activism. I was particularly inspired by some of the keynotes. If you can only watch a couple talks from Railsconf, I wouldn’t miss Justin Searl’s keynote about the different ways we learn and write code and Marco Roger’s really touching keynote about his experience as a black person working in the tech industry. 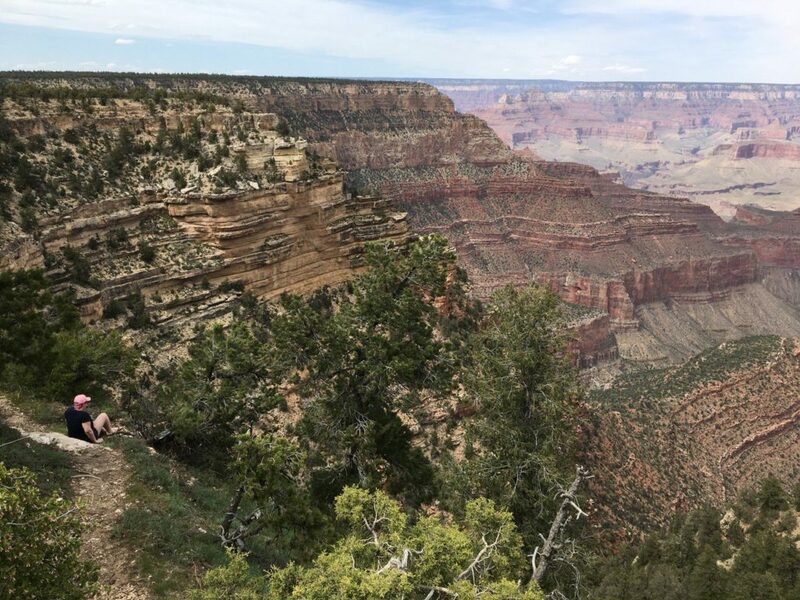 And as if that weren’t enough, I also got to spend a couple days in the beautiful Arizona desert and take my first trip to the Grand Canyon, which was so much more unbelievable and breathtaking in real life than I ever could have expected.